Ticket sales have ended. Thank You for your support of The Arc of WBO! Tickets will not be sold at the door for this event. Special Appetizers, Swag & More! ... for birthday's and Christmas! No limit on 50/50 ticket quantity! Buy without going to event! Last year winner took home $1,415! Where is the Choc Froc? Make a donation and walk away with a surprise beverage! Bring some extra cash for our event auction, which are designs made by local and participant artists. We are once again offering fewer tickets so each person can have the best experience! You do not need to be present to win! You may purchase 50/50 tickets without going to event! 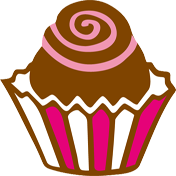 Bookworm Alt Bake & Catering has participated in The Chocoholic Frolic every year since we opened. The Arc much like Bookworm believes in the inclusion of all people whether it is life skills or food allergies. 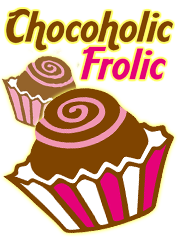 We could not think of a better event the Chocoholic Frolic to be our biggest charity donation of the year. We have loved seeing what everyone that participates comes up with. What can be sweeter than Chocolate with a conscious. Great time being a vendor at the ChocFroc! We love to be a part of the Chocoholic Frolic each year. 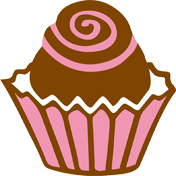 This is an opportunity to use our talents to bake a new creation in order to help individuals with an intellectual or developmental disability and their families. We believe in what The Arc does and are happy to support them!